There are three money-related things to update you on: global sponsors, paying the bills, and running money through the Foundation. We’ve discovered an issue with the global sponsors program, in that not all of the sponsors who’ve been getting recognition this year were actually billed and/or paid up. @andreamiddleton is currently digging into this and has gotten in touch with all the sponsors involved. She will be taking over the global sponsors program again moving forward, and once she comes up for air she’ll probably be posting some requests about how we track stuff related to sponsors. What happened — isn’t it a rule that we don’t post sponsors until *after* we’ve received their cold, hard cash? Yes, it sure is. 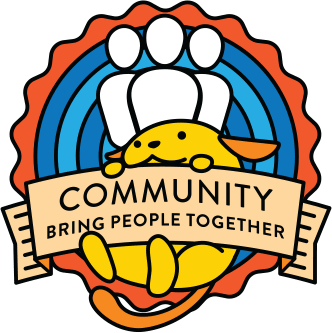 So let this be a lesson to you that it’s really important: one of the global sponsors who has been getting thanked all year long actually said they weren’t going to be participating this year back in January but it wasn’t tracked, so that’s 150k we didn’t get this year, and dozens of WordCamps they got credit for. Deputies: please emphasize to your organizers the importance of not posting sponsors until payment has been received, and of tracking communications. We vacillated over whether or not to even post this, because it’s often not helpful or productive for something like this to turn into a news item on a wp community news/forum site, but we want to emphasize how important it is to hold to this rule of collecting payment before posting sponsors. Also, everyone makes errors sometimes, and using them as learning experiences to fix holes in our processes is good for us in the long run. For the past year or so we’ve been exploring the possibility of instituting a WC credit card program, so that organizers would have a credit card to make payments themselves, and would then just submit an expense report, which would make this a TON easier. Unfortunately, that program won’t be possible at the current time. We will be talking with the bank to see about options to potentially try again in 2016, but in the meantime, we are drowning in payments. Because we don’t want any WC to be in danger of losing a vendor, payments are prioritized over almost everything else, but this has been bad. It means that the people hired to work on the program full time because of their experience wind up spending days each week making payments rather than handling WCs/meetups, working with deputies, updating documentation, and doing other things that could move the program forward. Many of our volunteer deputies would be happy to help with this, but because it’s all tied to bank accounts, we have to keep a more restricted access than we do with the other things we’ve recently opened up to deputies. So we need to come up with ways to make this better. @kovshenin is going to be looking into options and APIs for QuickBooks, paypal, and the bank site, but that might take a while, and knowing financial software, still might not offer us any relief. Until we can work out a better system, if you have organizers who work for successful WP-based companies who would just as soon put everything on their company card and get reimbursed once a month or so rather than submitting each individual bill to be paid, let’s go ahead and encourage that. Ditto anyone who likes to use their own card to get airline miles. If any organizer wants to go this route, ask them to divvy up their receipts into payment requests by category (using the payments plugin — swag, food/beverage, etc.) so we can track them (vs putting everything on one invoice with category headings in one payment request). We’ll also be updating the payments plugin UI soon so it’s a little easier to use. This doesn’t mean we are going to stop paying bills — we’re not! Just hoping there might be a couple of WCs who have the ability to handle things this way to get the volume down a bit while we come up with better processes. We’re still happy to run as usual by default. Running everything through the WP Foundation gives organizers protection against being sued by an unhappy attendee (which has happened to previous organizers) or being audited by the IRS (which has also happened to previous organizers). However, that means that the legal entity safeguarding WordCamps is the same entity that owns the WordPress trademark. We’re looking into starting a standalone company for WordCamps to separate trademark protection from WordCamp finances. We’re not sure what this will wind up being, but it’s possible it will be a regular company or maybe a b-corp (a US classification for a regular company that operates for social good) so that we won’t be beholden to all the IRS rules we’ve been operating under as a non-profit (this is most relevant when we talk about the IRS rules for sponsors). We’ve got lawyers looking into what would work best for us, and will update you when we figure out what we’ll be doing to move forward. This shouldn’t have any negative effects — we may lose some non-profit discounts for a few venues, but we’d gain more freedom in how we do other things. Whatever the corporate structure, it would still be run the same, with any extra money put into more programs and event support. Most open source projects wouldn’t make a post like this to a contributor team, but we take our goal of transparency very seriously. I hope that everyone can respect that, and that this doesn’t turn into fodder for gossip or speculation on other sites. If anyone has any questions about any of these things, please go ahead and ask in the comments here, and we’ll do our best to answer. Thanks! I had a moment of glee reading that. Navigating the IRS rules re: sponsor recognition has been frustrating. Retaining the spirit while lifting the liabilities would be a fantastic change, IMO.